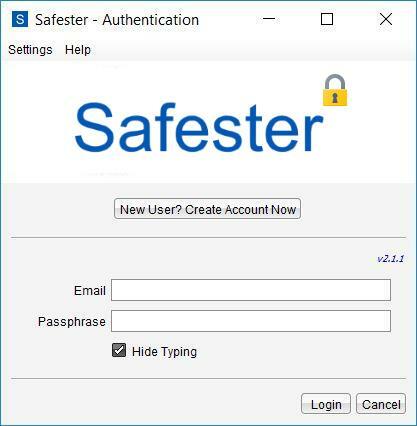 Once you’ve downloaded and installed Safester, launch it and click the “New User? Create Account Now” button to create your account. You will be prompted for the bare minimum: your name and the email address you want to use for your account. 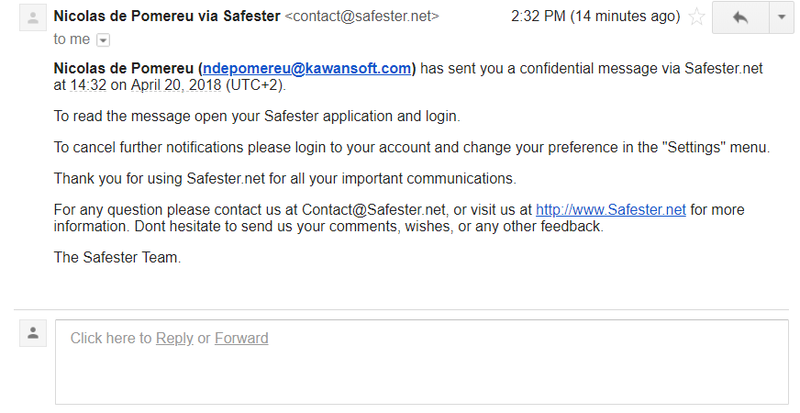 It’s a current email address that you already use. It will be used as your ID and as the way for your recipients to identify and find you. It’s also where notification alerts will be sent to. You need to also choose a passphrase. That’s what keeps your account secure, so it should be strong and we encourage you to make it different from your email password. 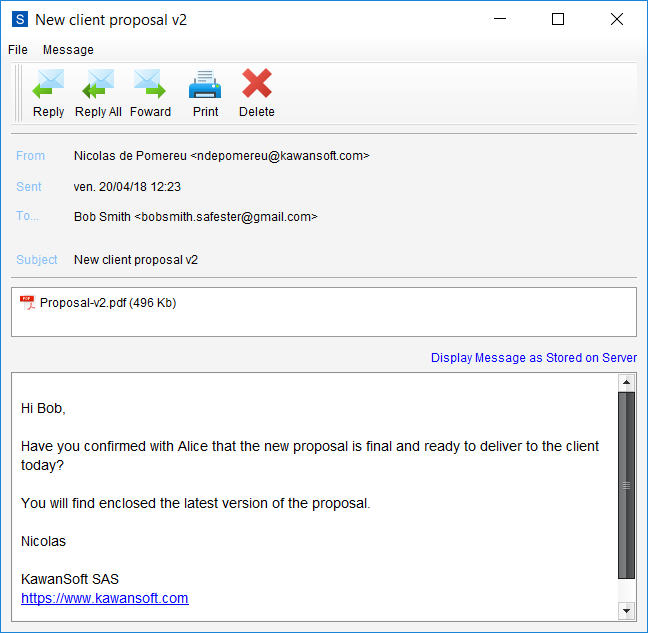 In the confirmation message, click on the activation link. Voila! You’re done and all set to send your first encrypted message. There is nothing like giving it a try! Once you’ve logged in, click on the “Compose” button to start writing your message. 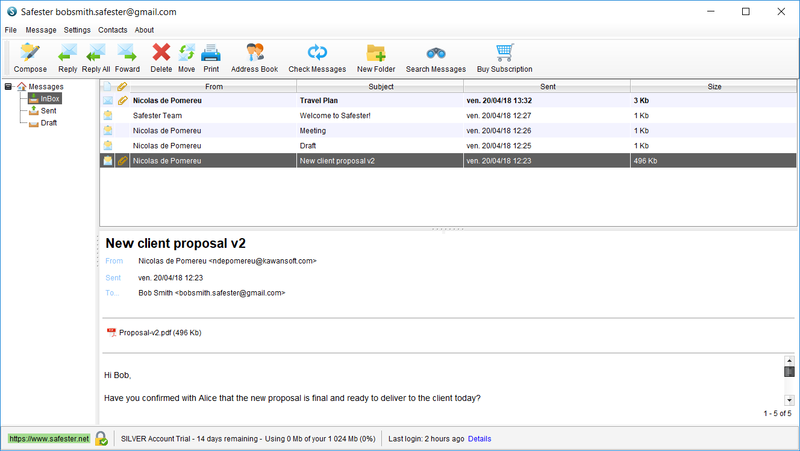 Compose your email as you would on your regular email client: add To/Cc recipients, attachments and the body of your message. 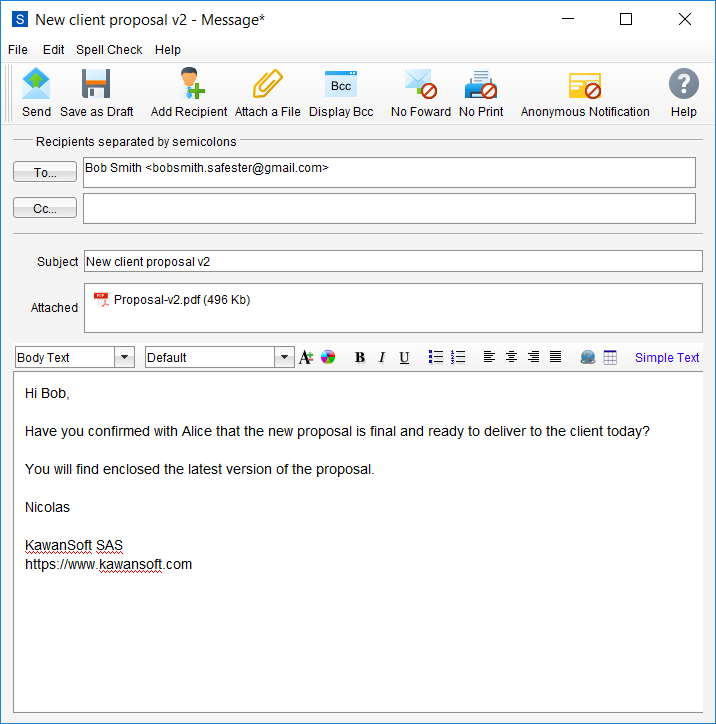 Click “Send” and your message will be encrypted before it’s sent from your computer. No information will leave your PC unencrypted. 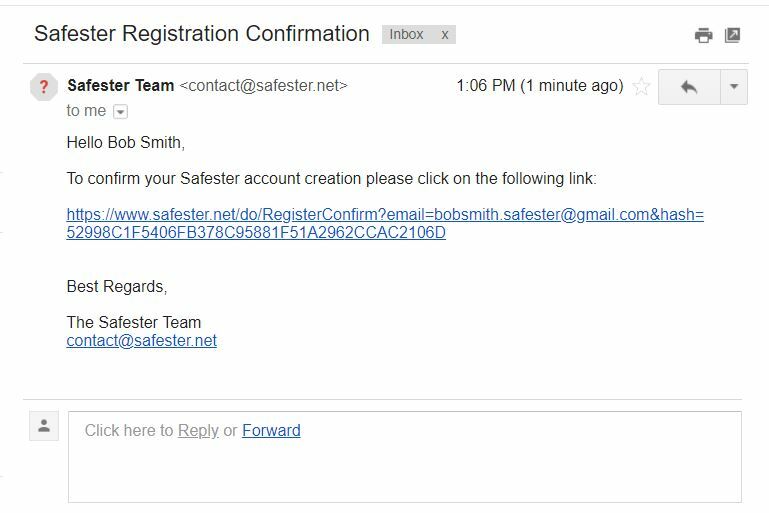 Recipients who have a Safester account will receive a notification in their regular inbox. 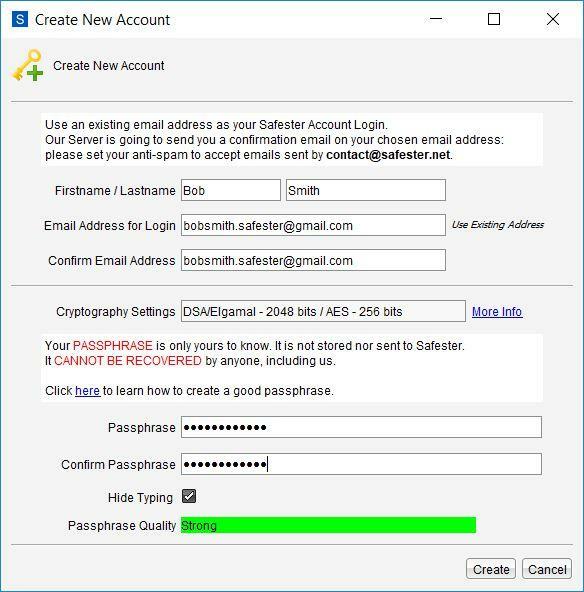 Those without an account will be automatically invited to register to receive and decrypt the message.